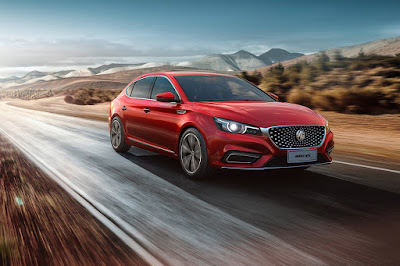 MG, the newest brand under The Covenant Car Company, Inc. (TCCCI) is marking its public debut at the Manila International Auto Show and with that, will rock the World Trade Center with the next round of the MG Live! free concert series. MG Philippines will display its three models: the MG ZS, MG RX5, and MG 6. Each model from MG Philippines is offered at a very competitive, all-in down payment rate, comes with one-year free PMS, and gives future owners access to a host of innovative aftersales services such as the Mobile Garage service where MG owners can have their cars serviced right in the comfort of their homes. For the third leg of its free concert series powered by Phoenix Pulse Technology, MG Live! will have Ultra Combo perform on Saturday, April 6, 2019 at 4 PM. Ultra Combo is made up of Buddy Zabala, Marcus Adoro, and Raymund Marasigan—effectively three-fourths of The Eraserheads—and will play popular Eraserheads tunes to the delight of the audience. For VIP passes, concert goers must visit the MG Philippines pavilion at MIAS.